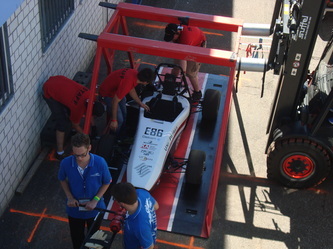 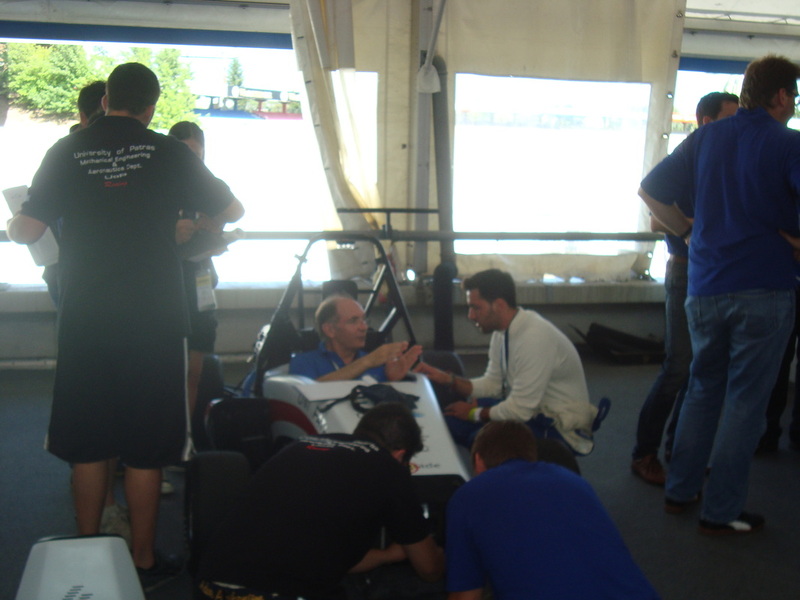 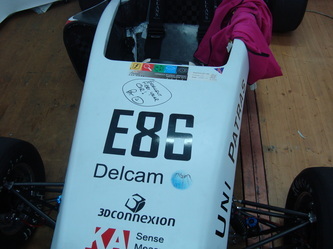 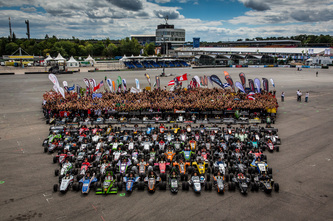 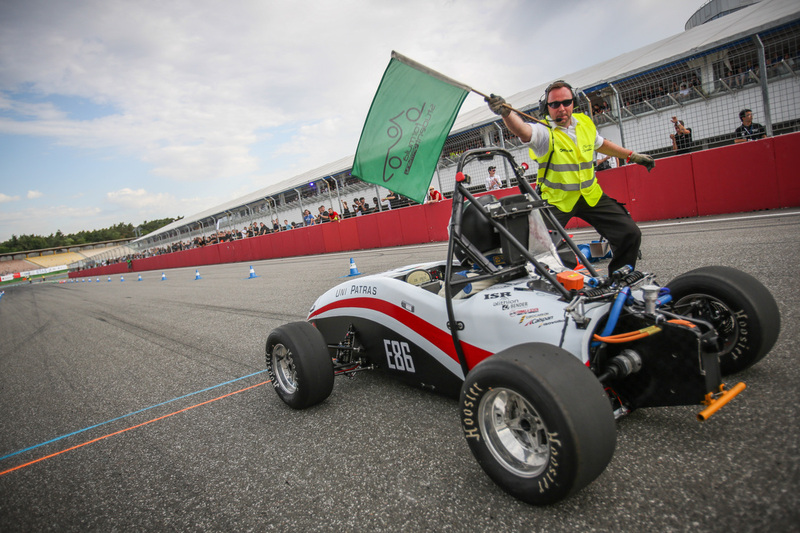 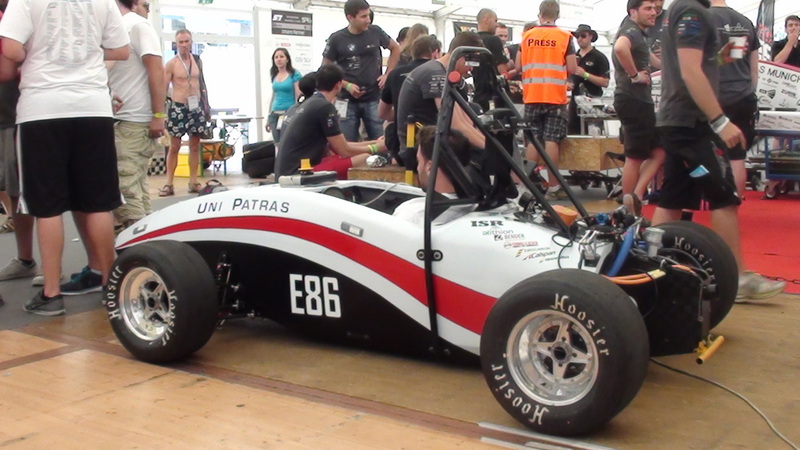 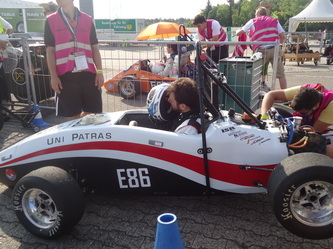 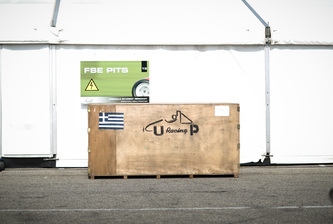 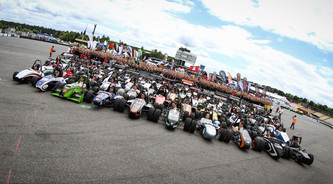 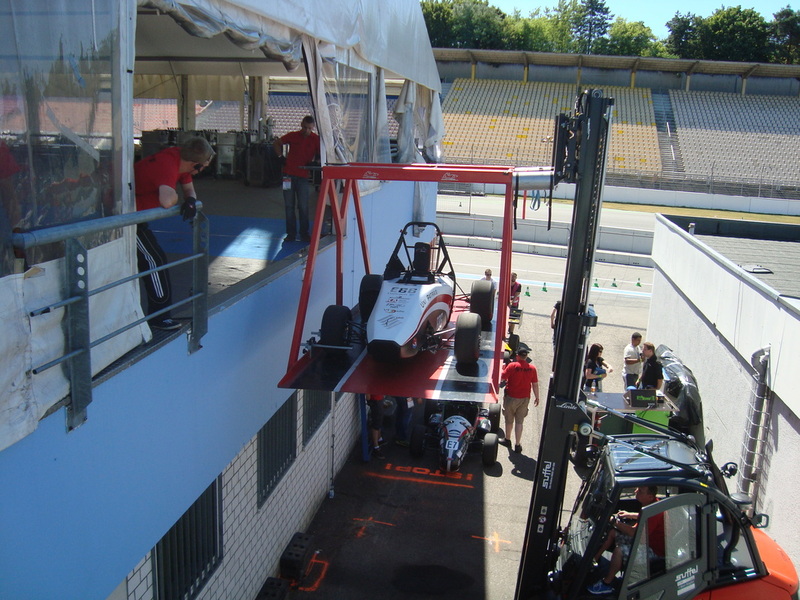 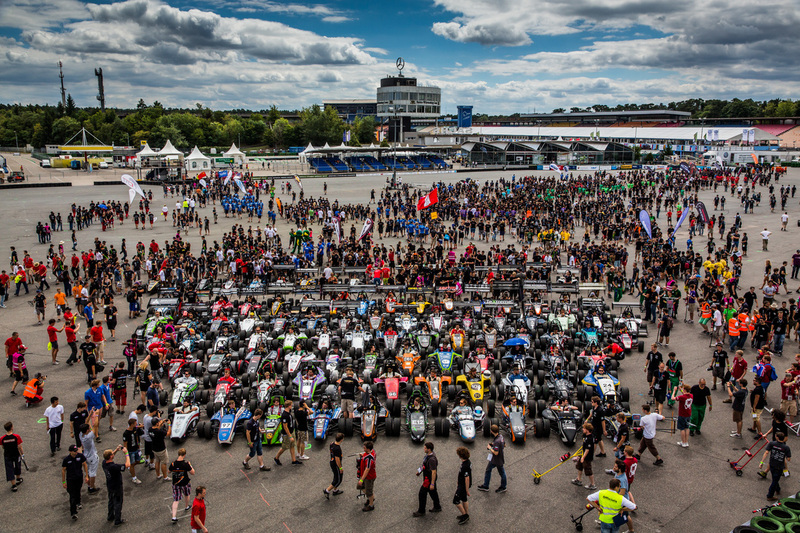 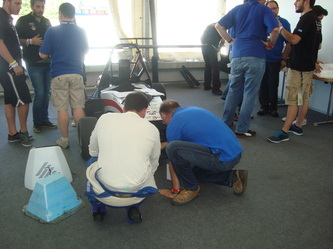 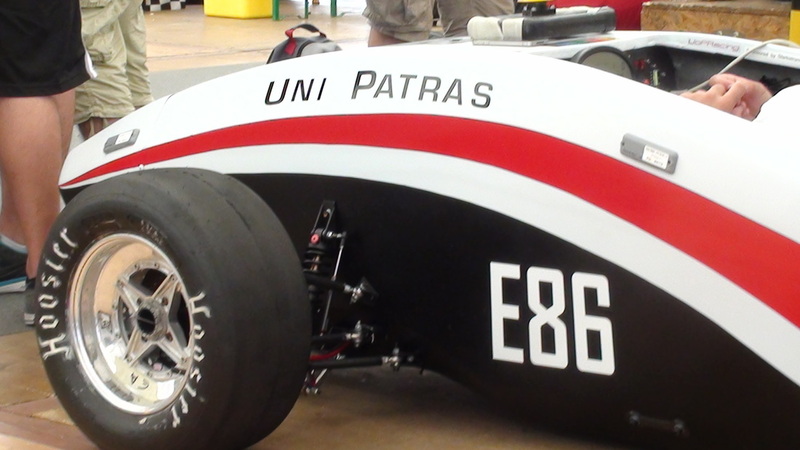 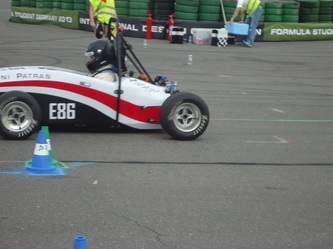 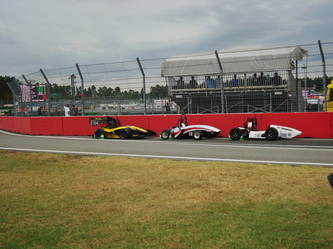 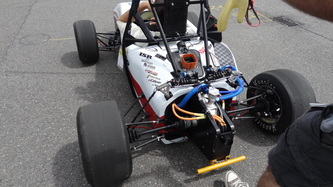 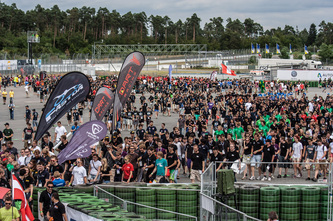 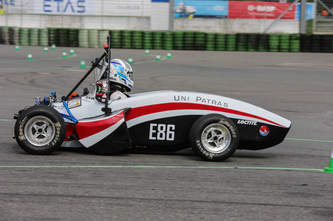 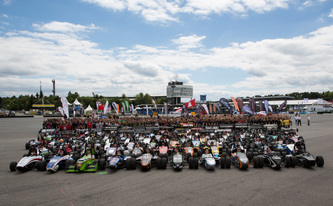 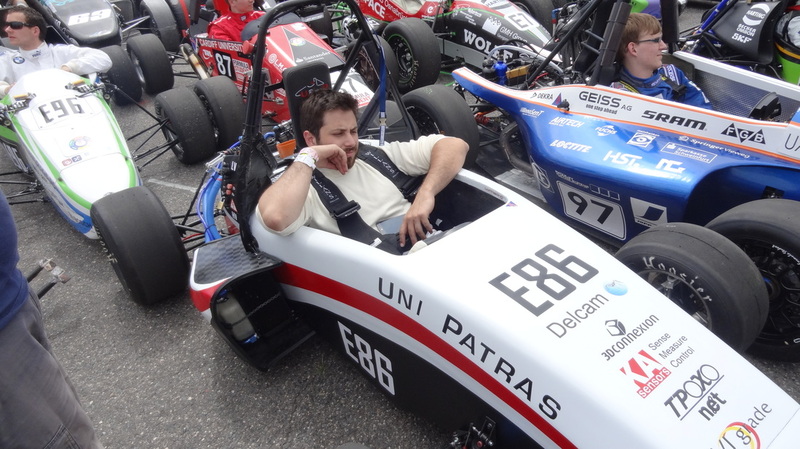 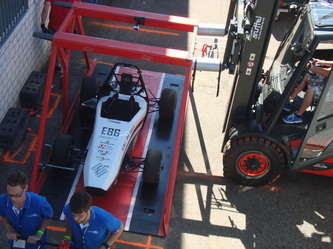 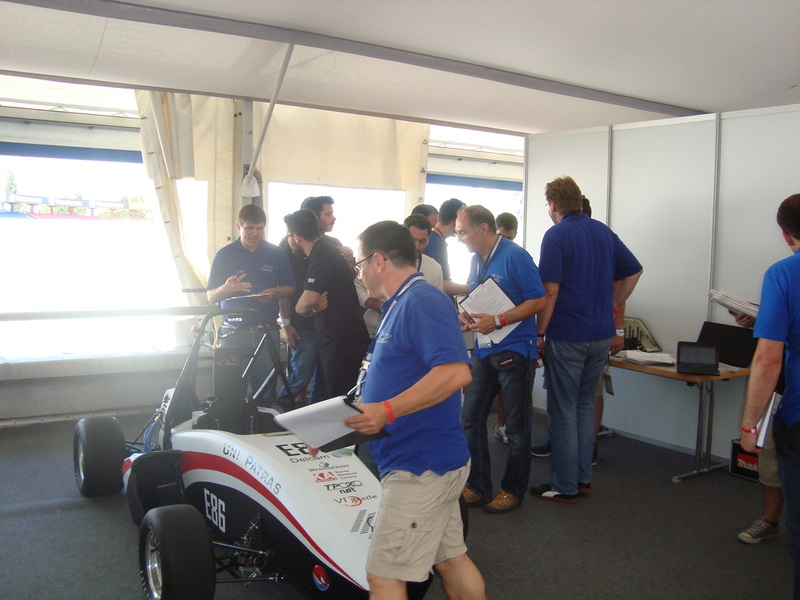 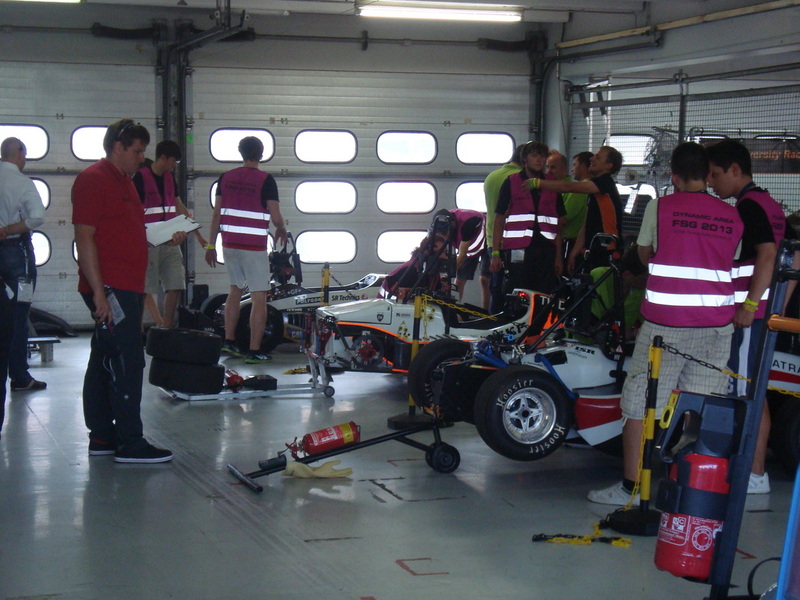 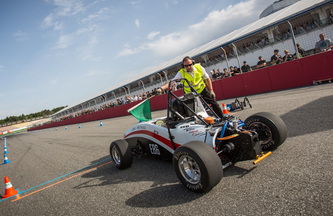 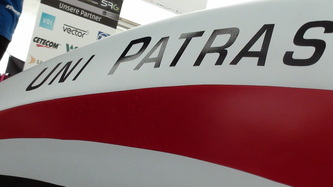 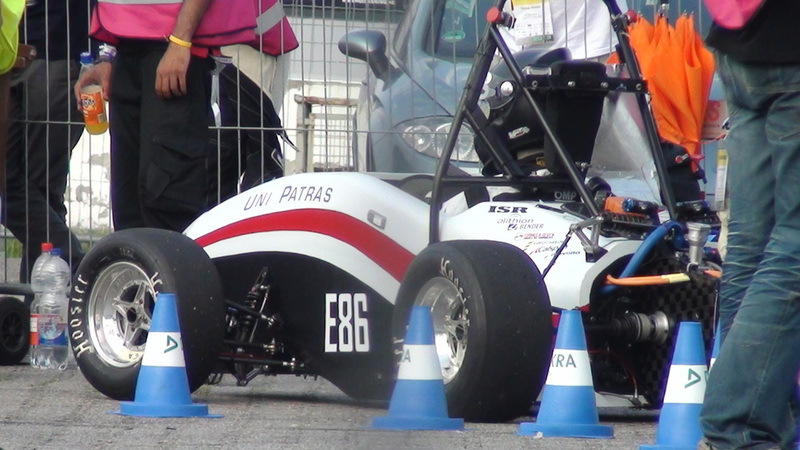 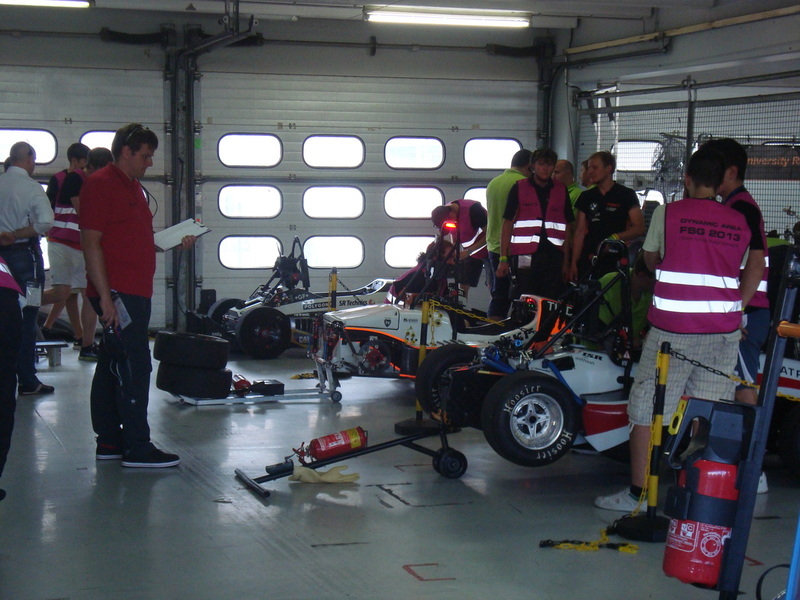 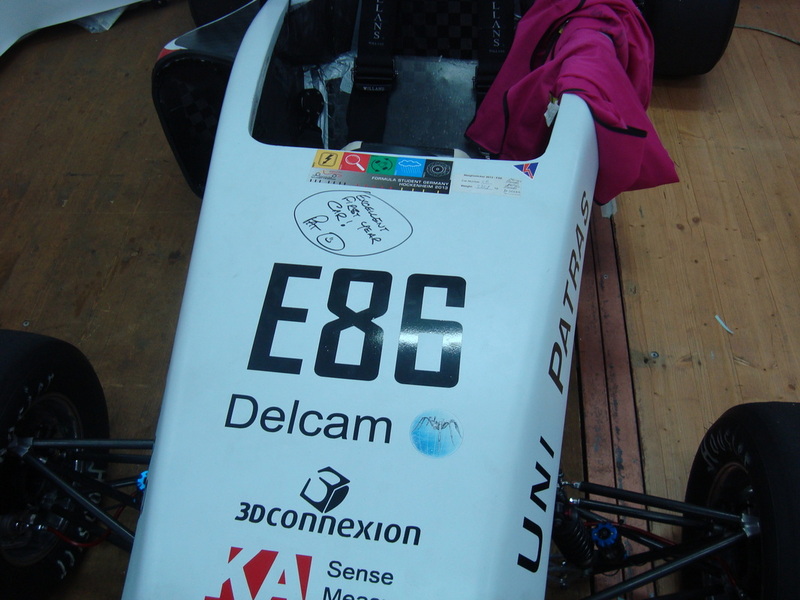 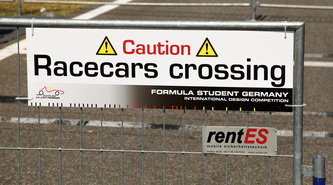 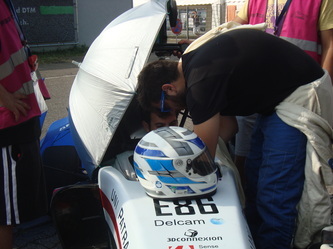 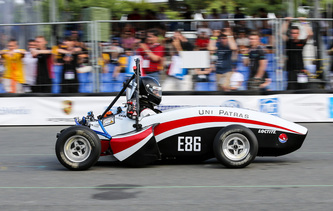 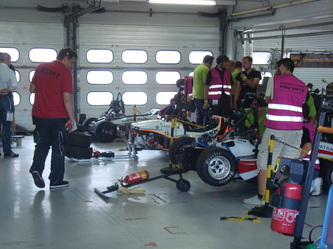 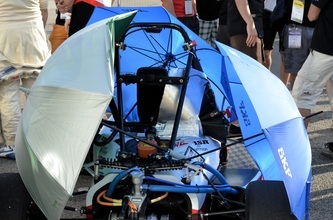 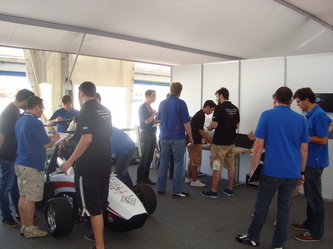 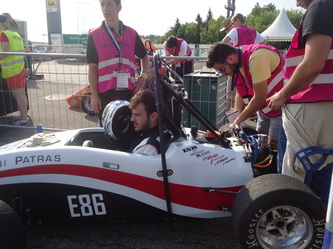 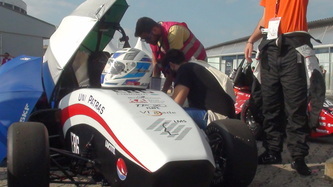 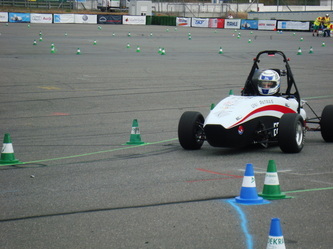 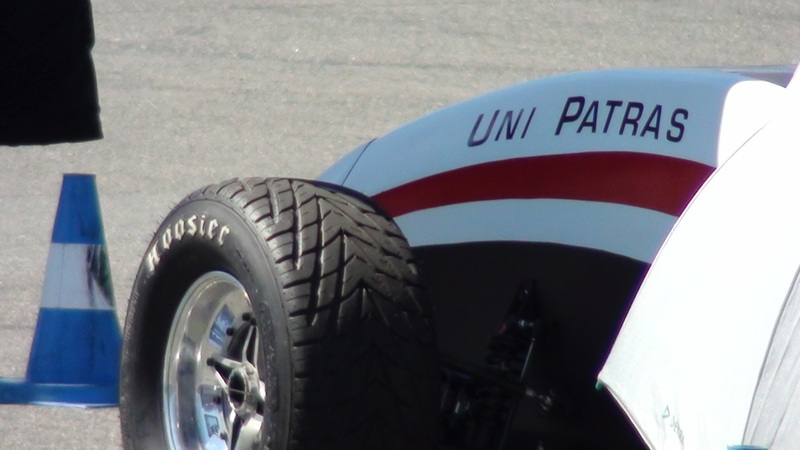 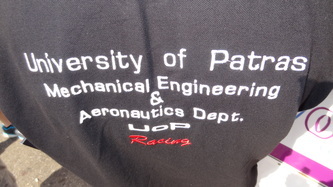 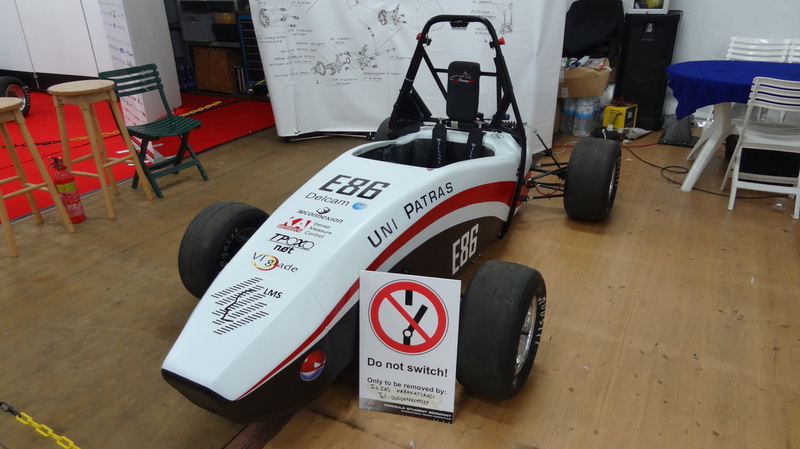 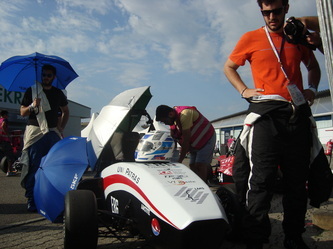 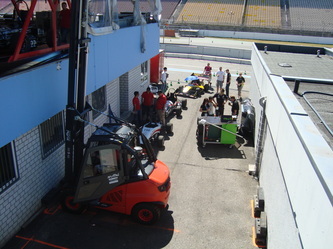 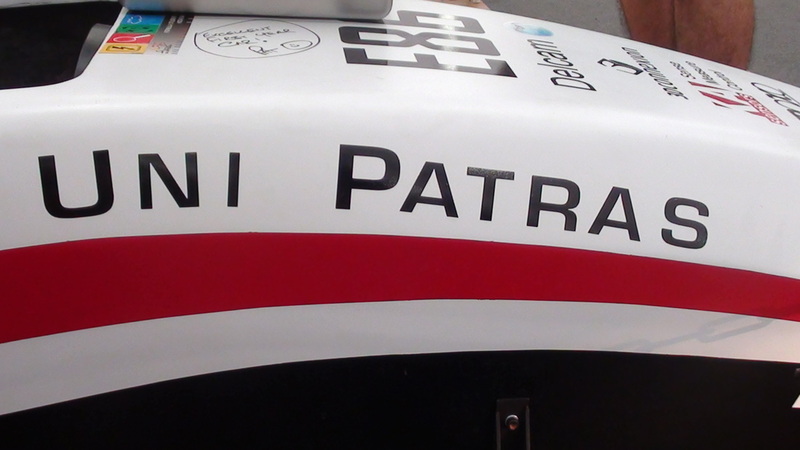 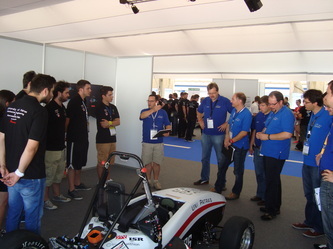 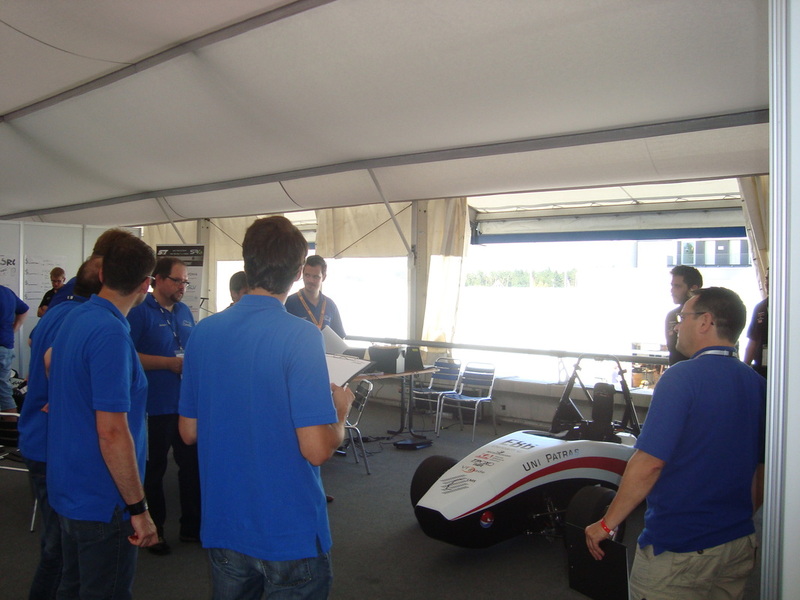 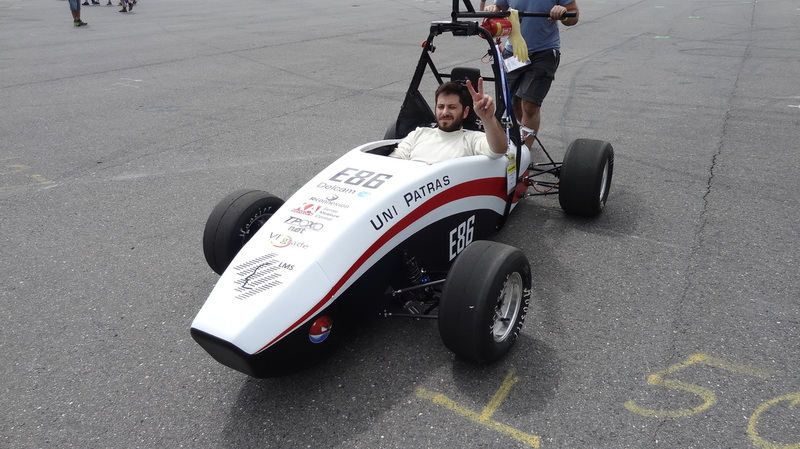 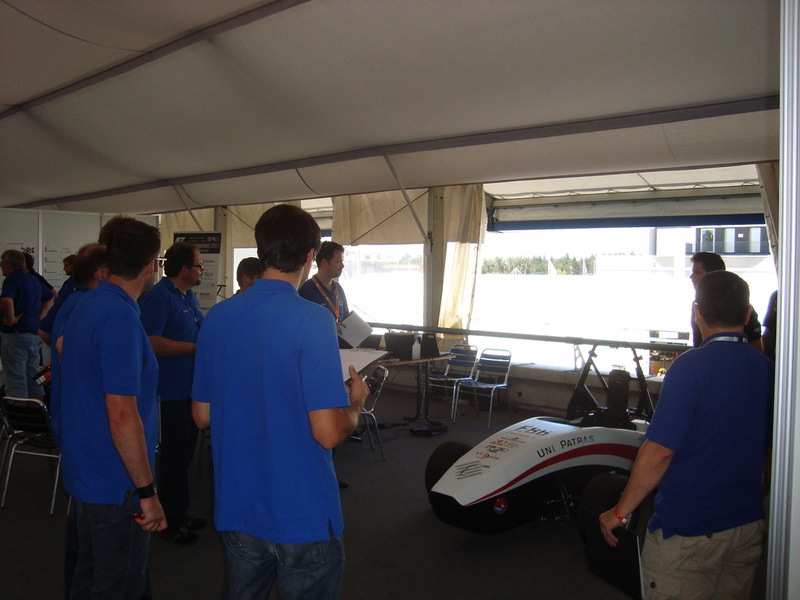 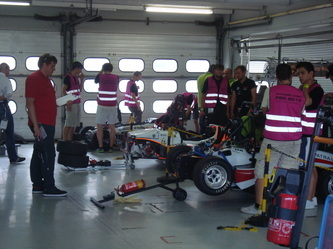 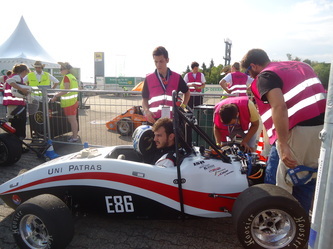 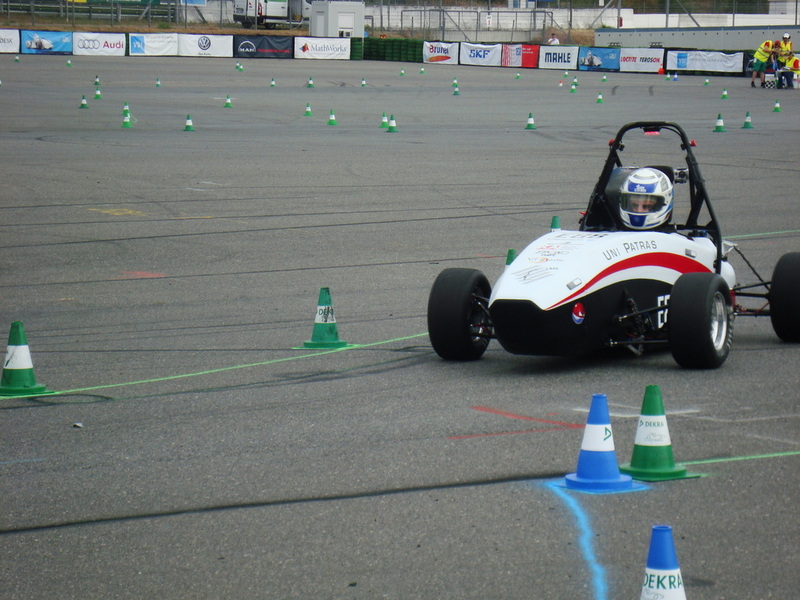 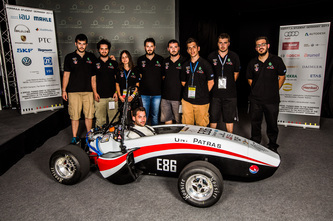 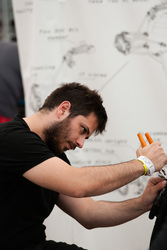 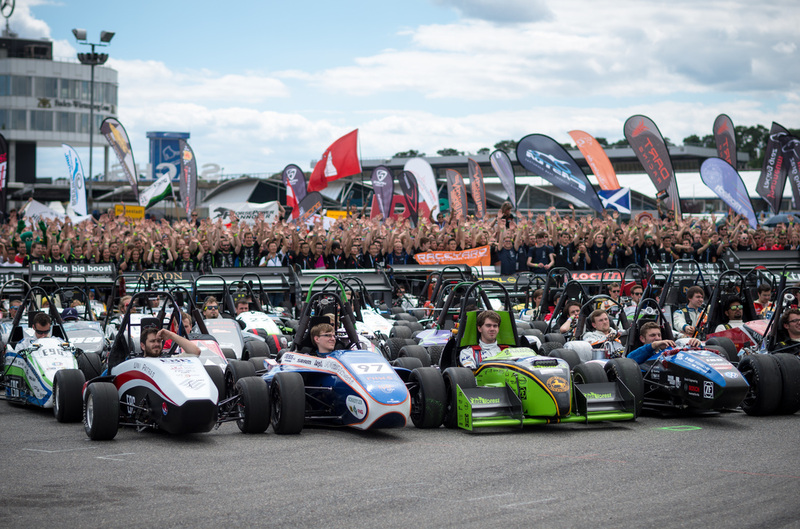 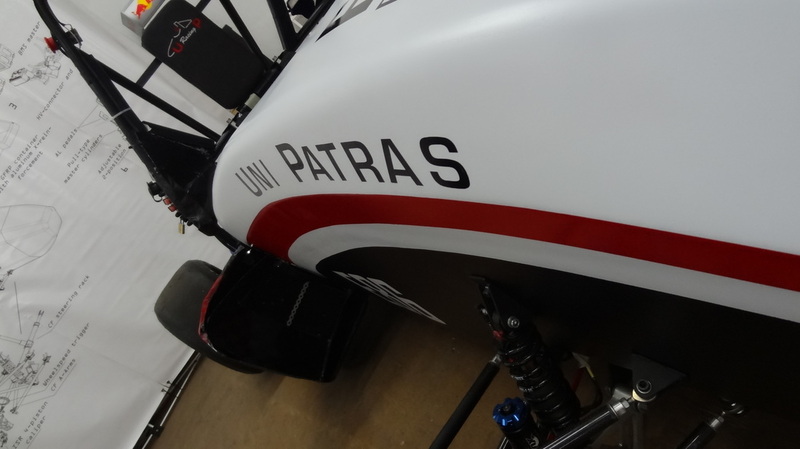 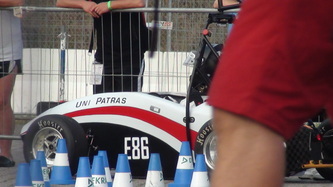 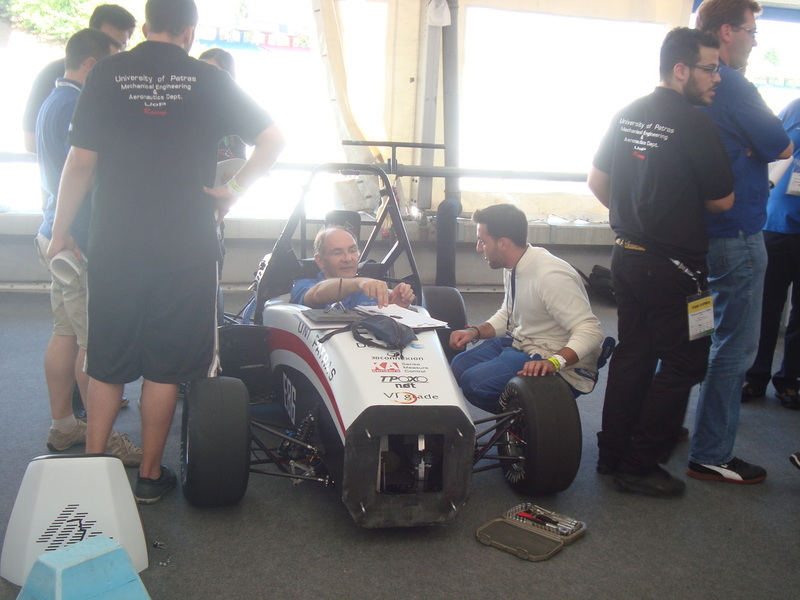 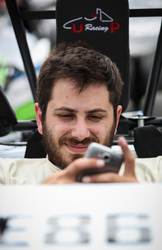 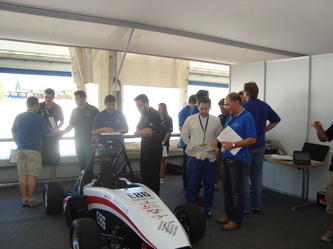 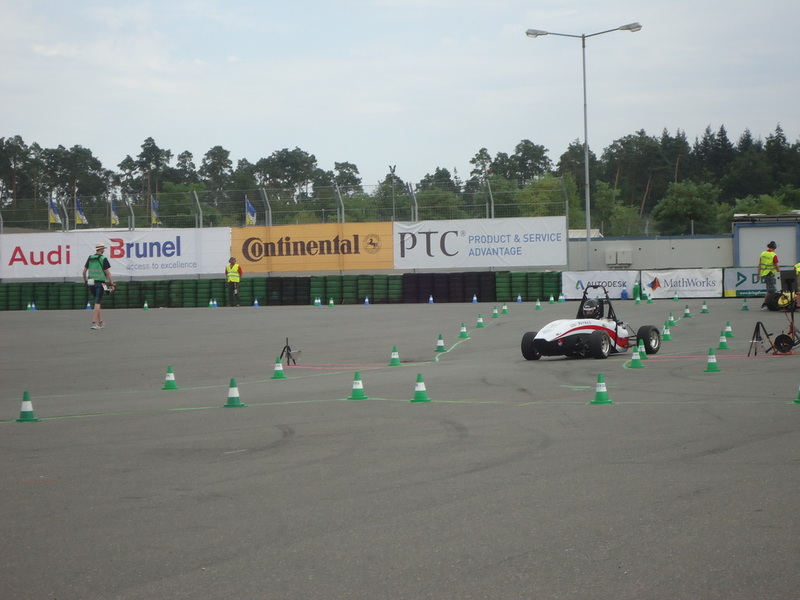 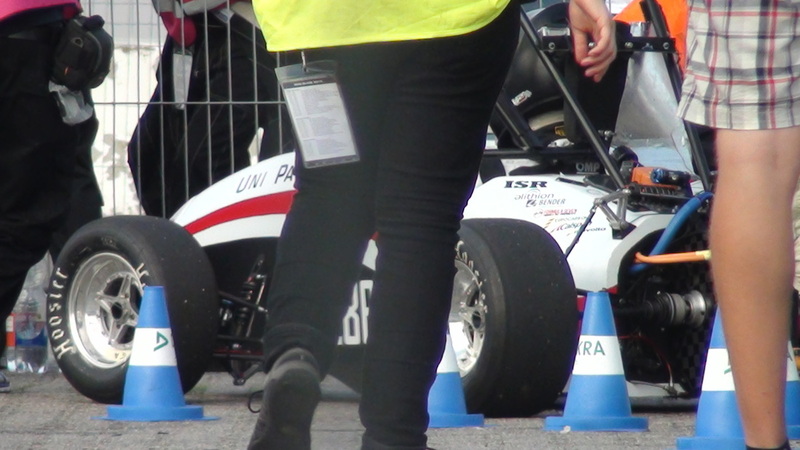 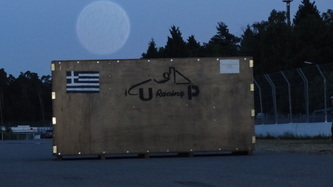 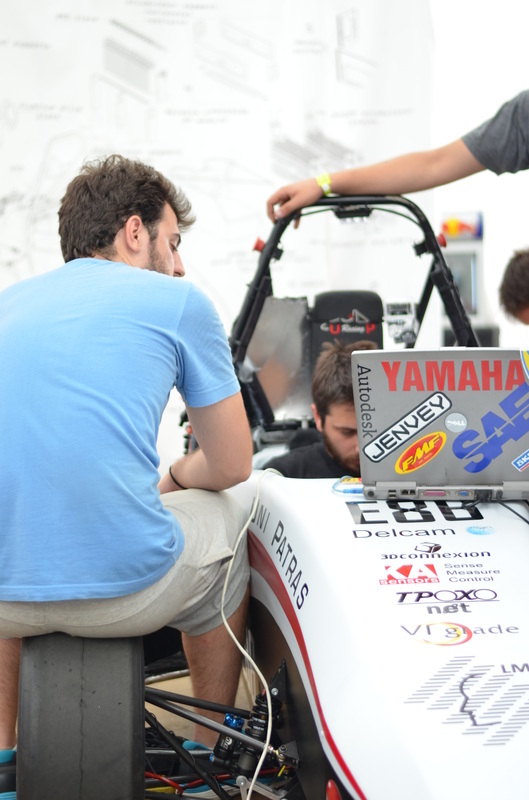 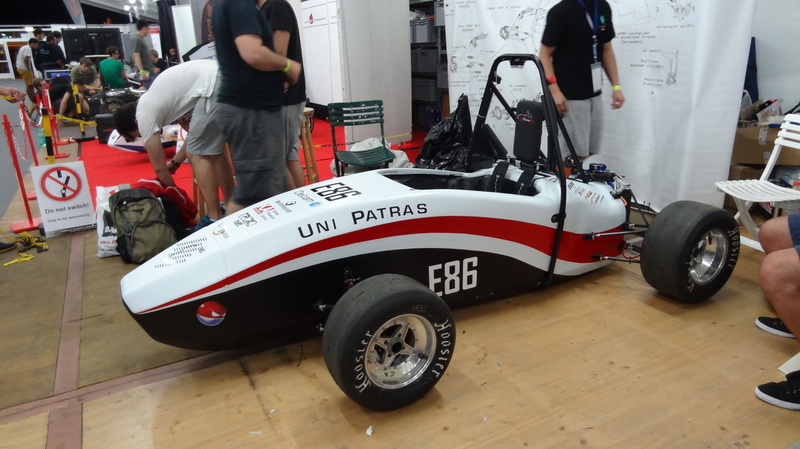 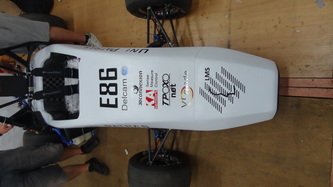 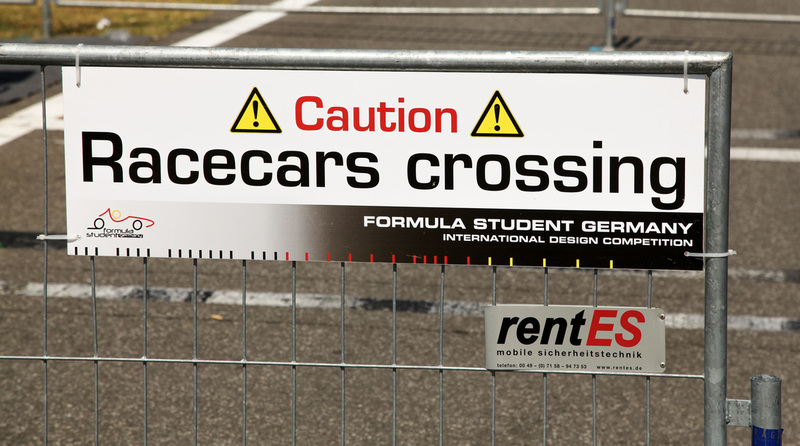 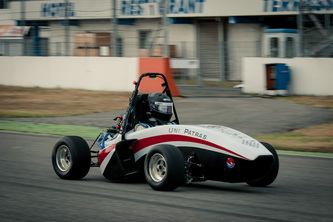 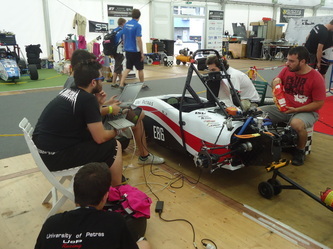 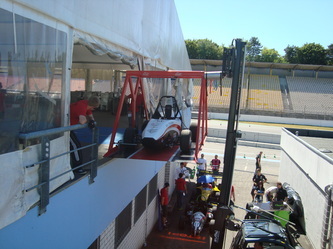 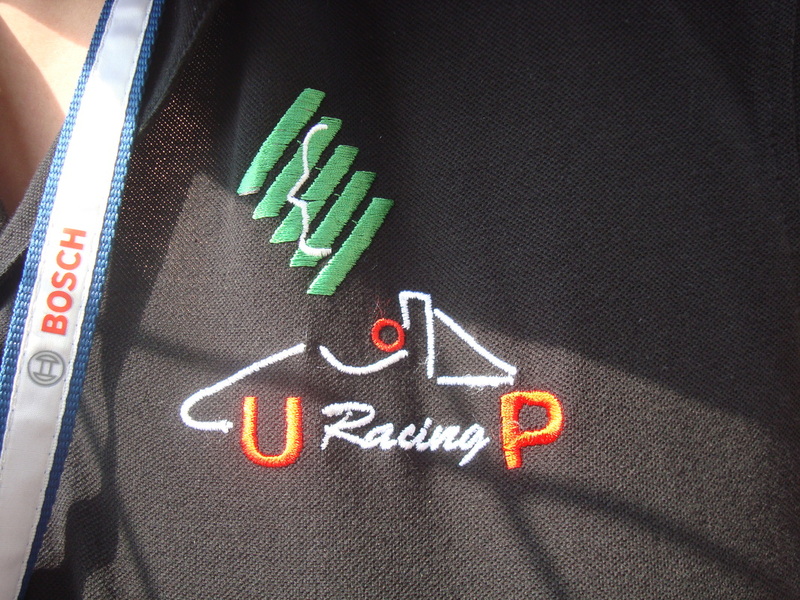 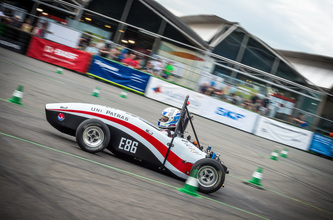 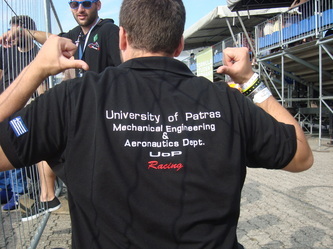 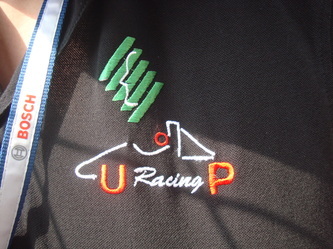 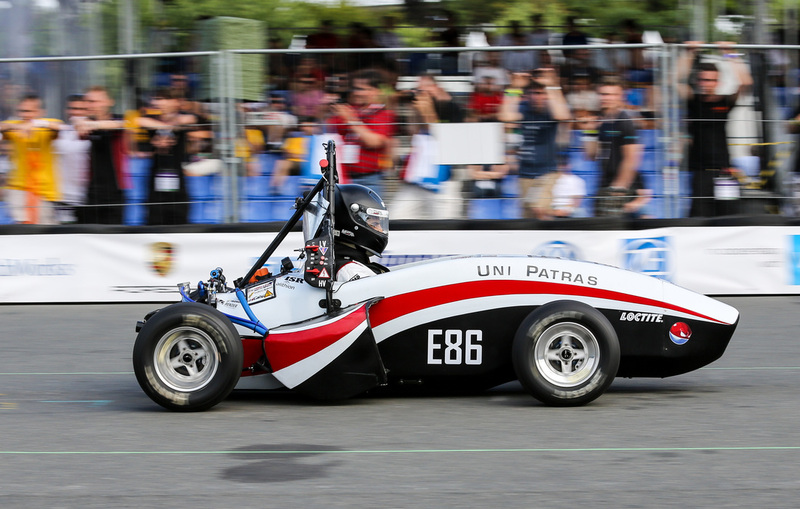 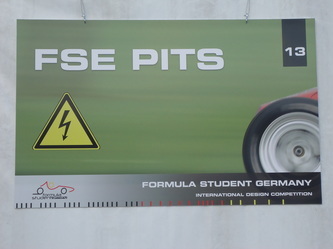 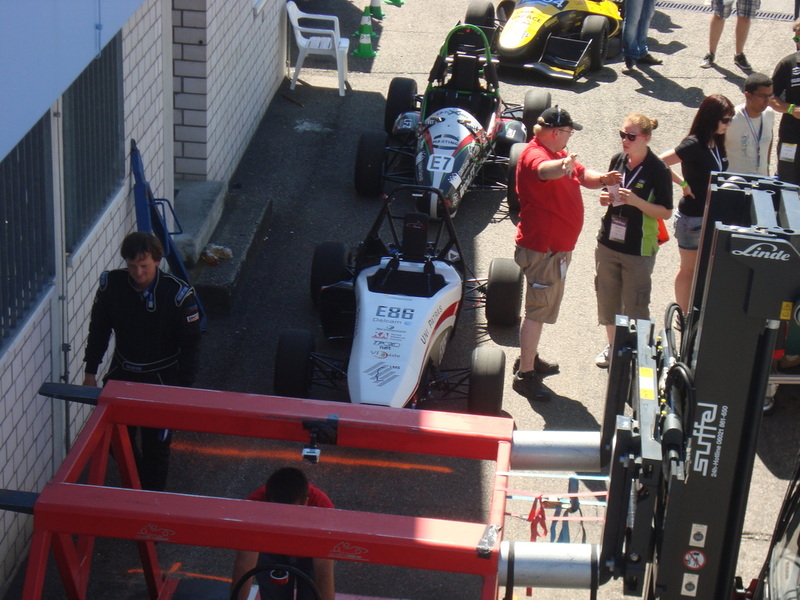 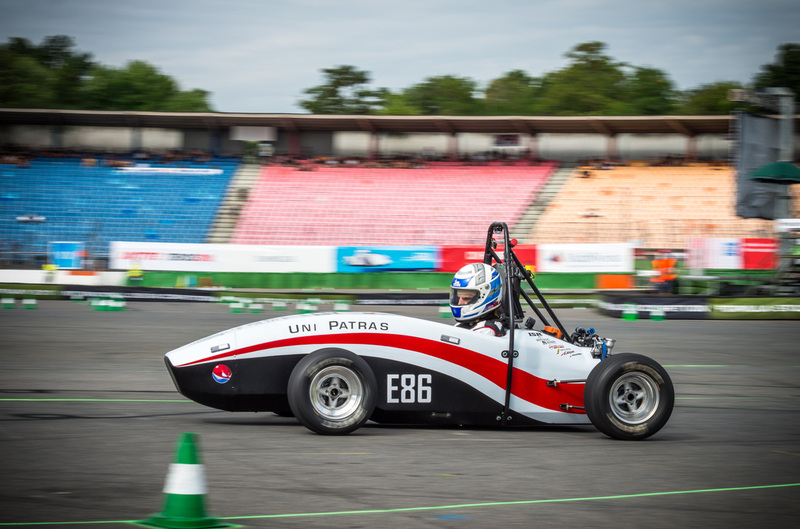 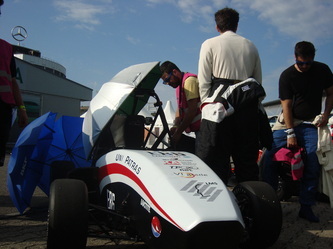 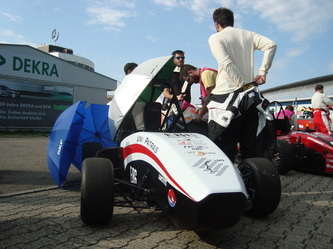 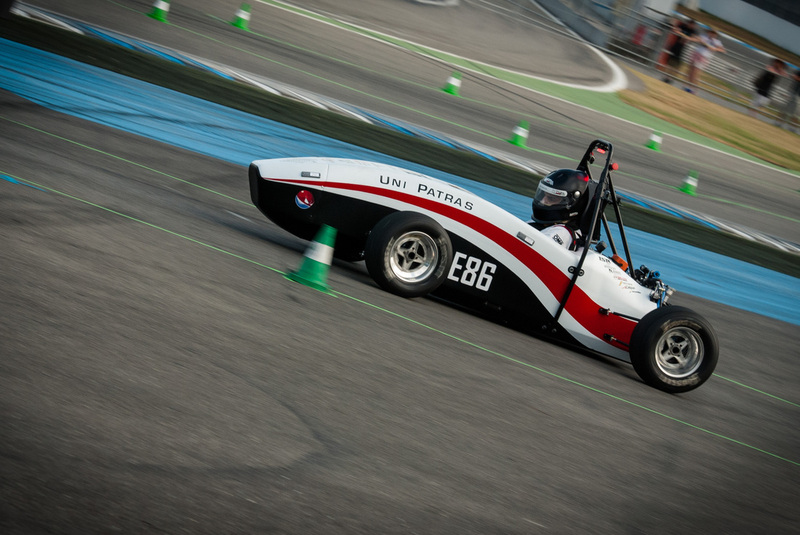 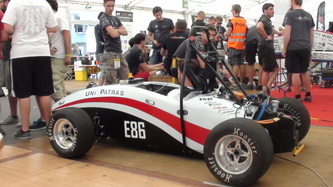 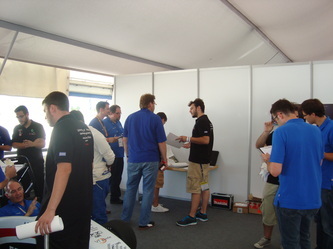 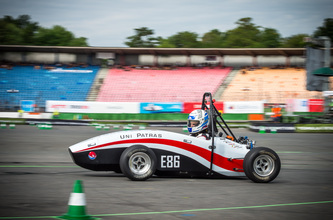 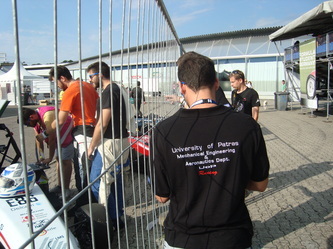 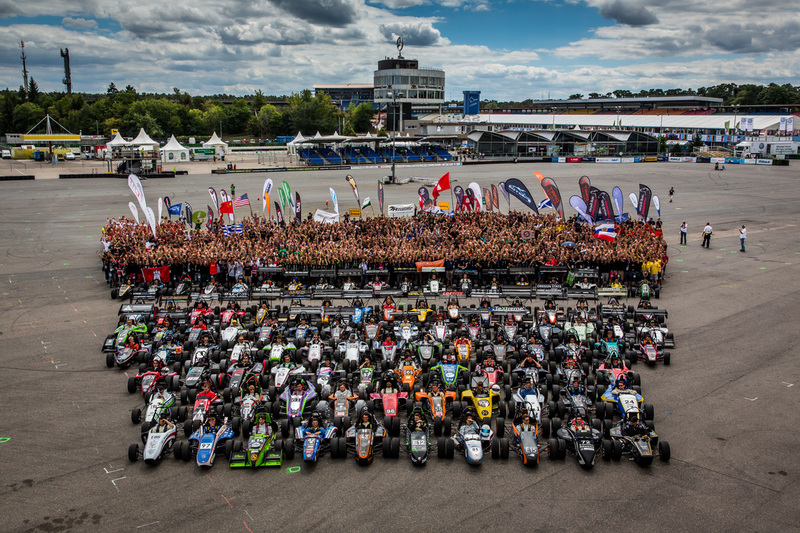 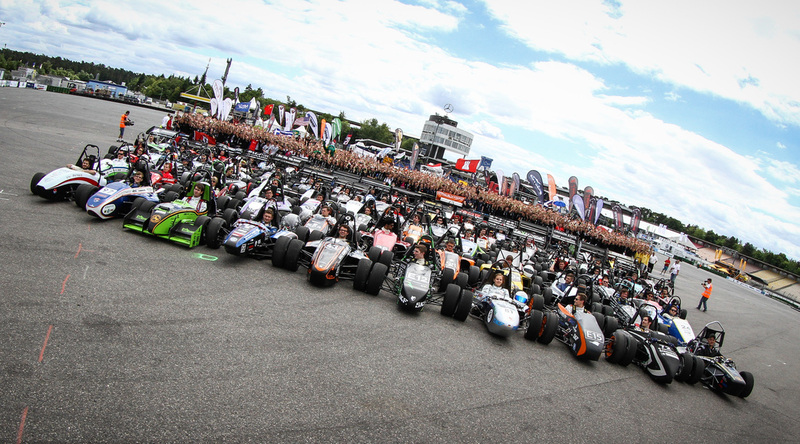 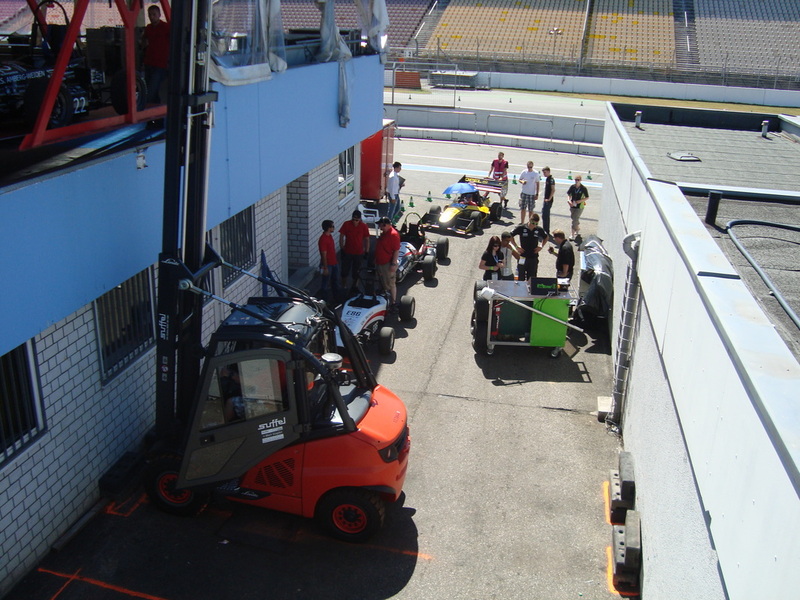 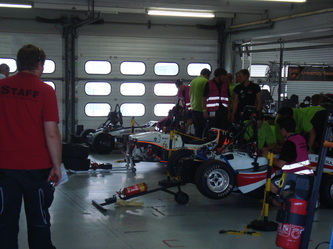 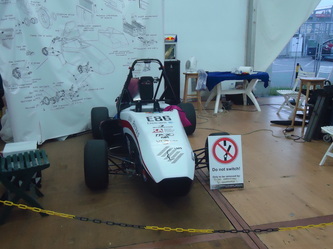 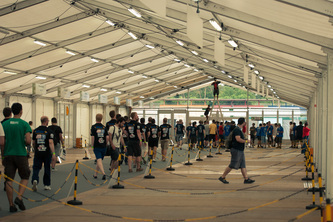 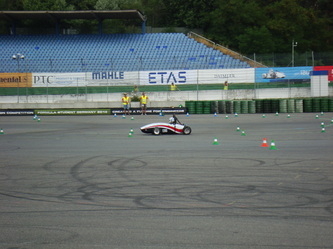 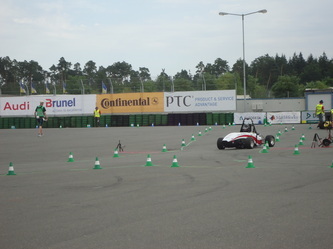 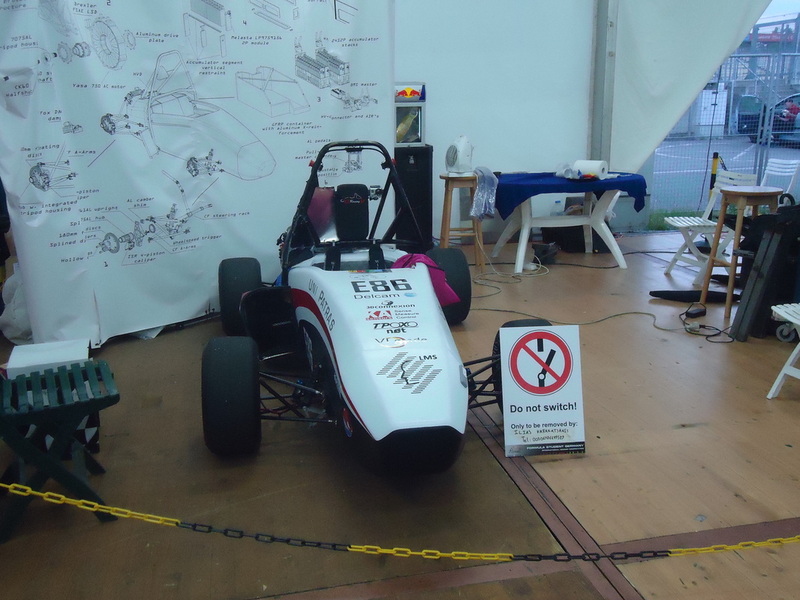 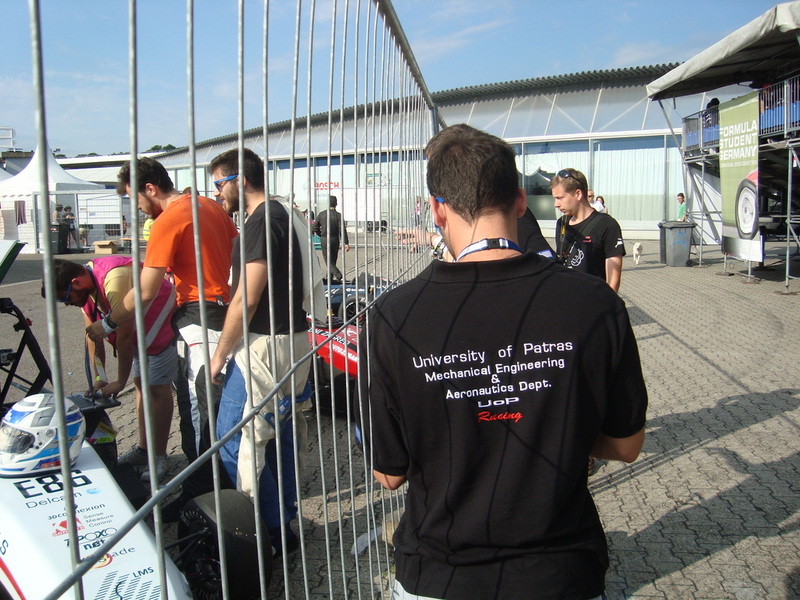 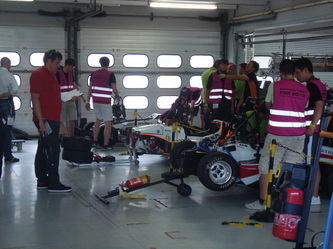 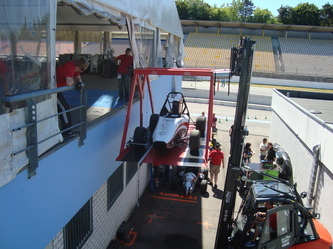 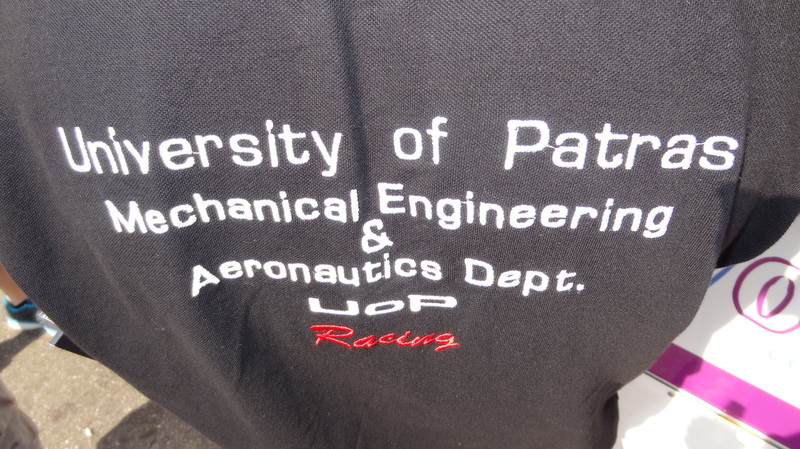 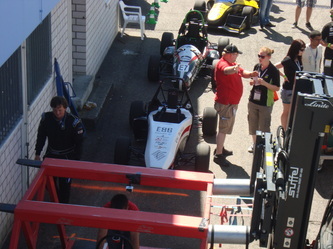 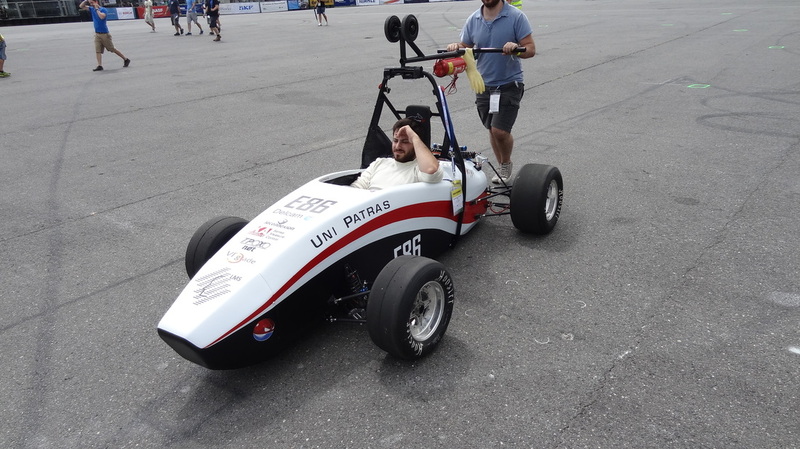 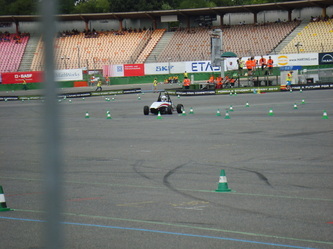 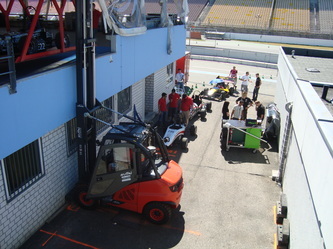 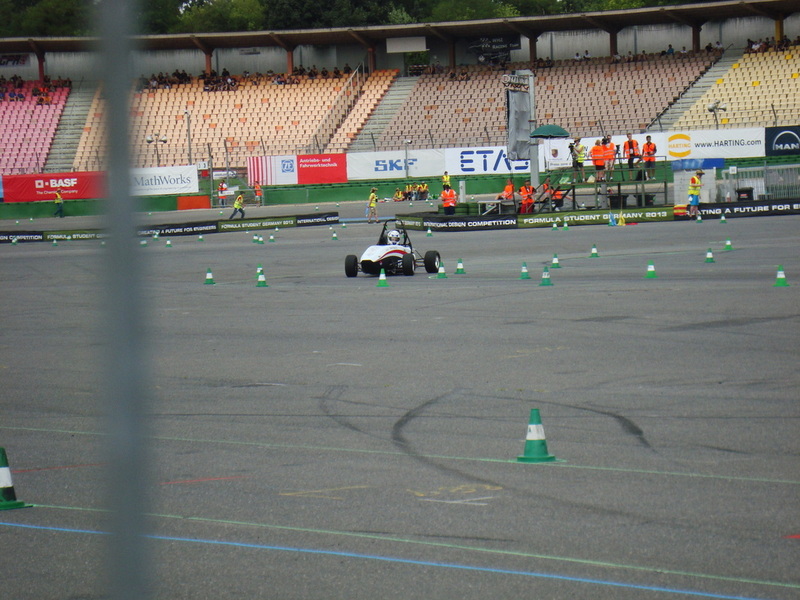 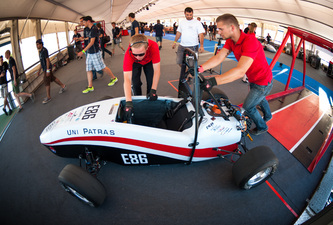 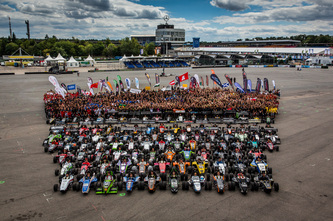 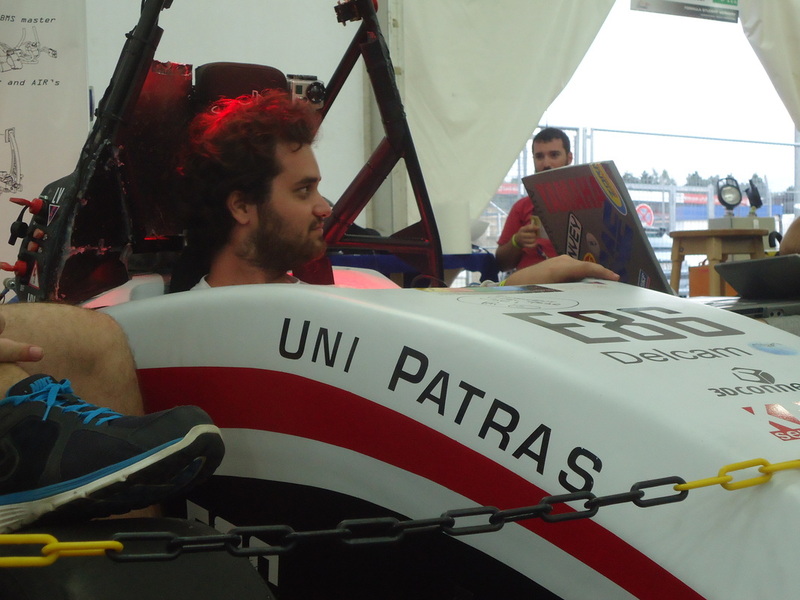 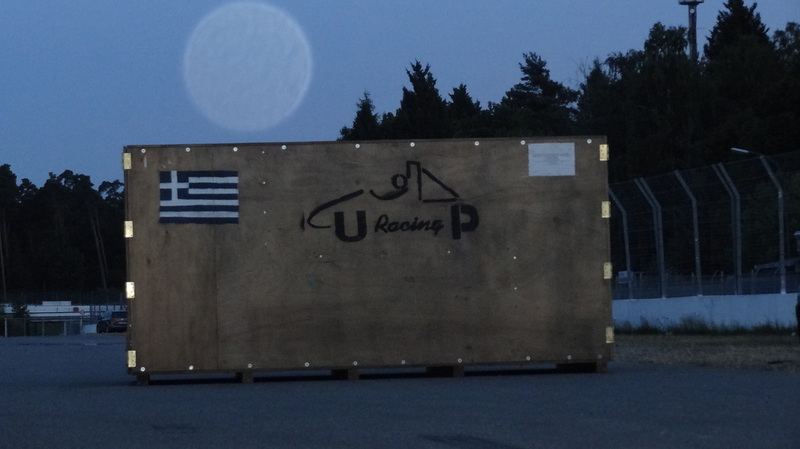 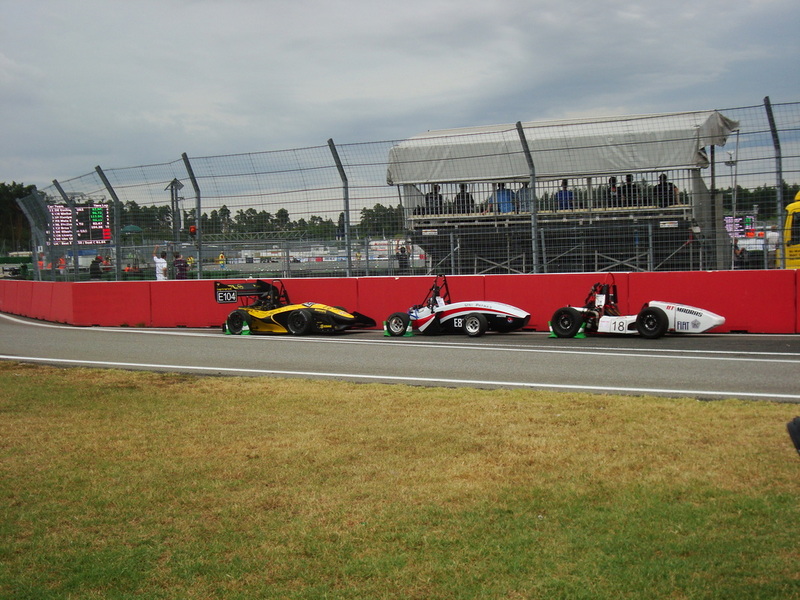 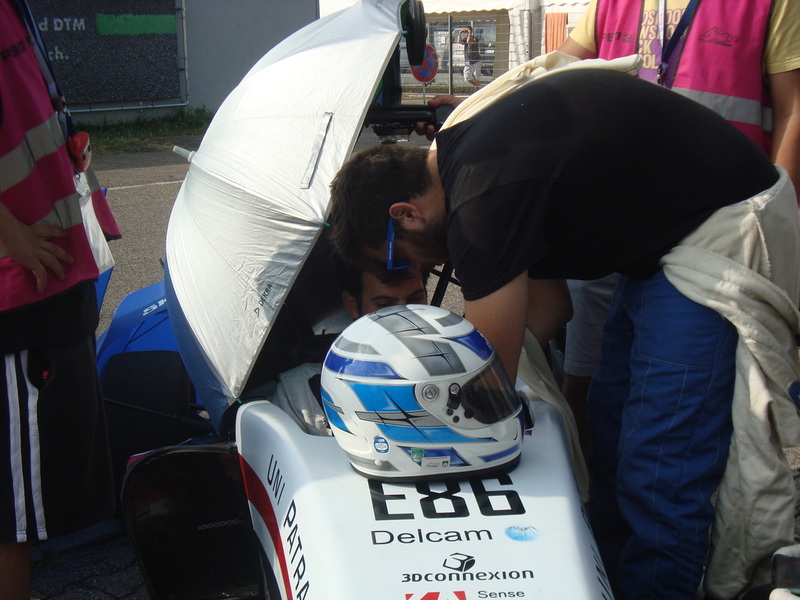 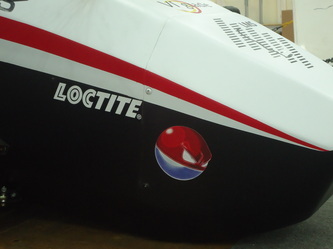 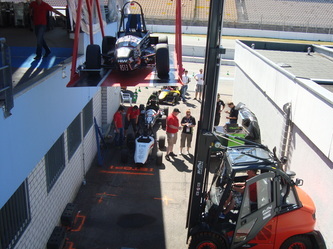 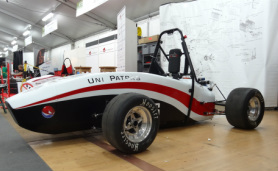 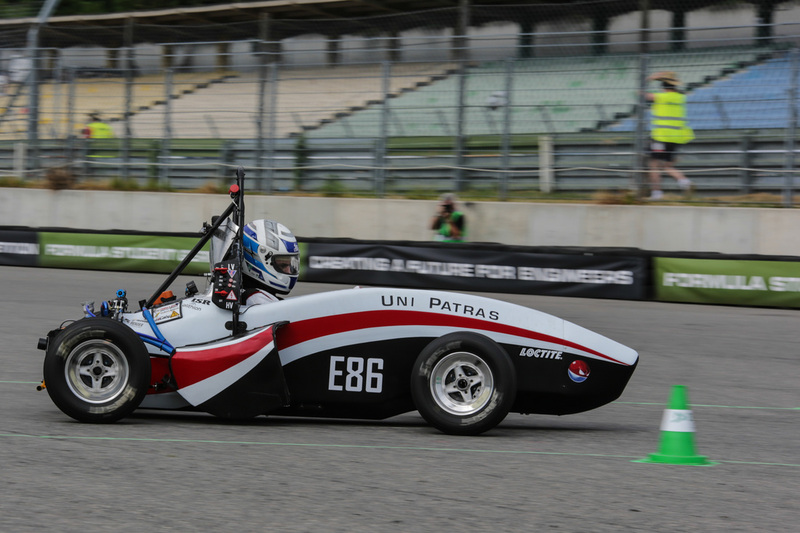 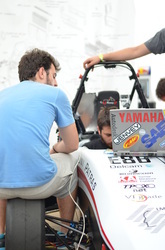 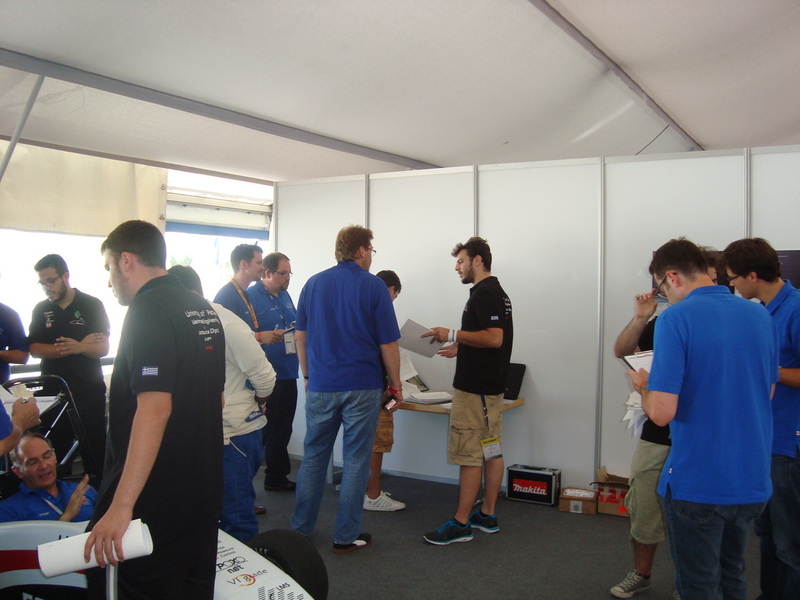 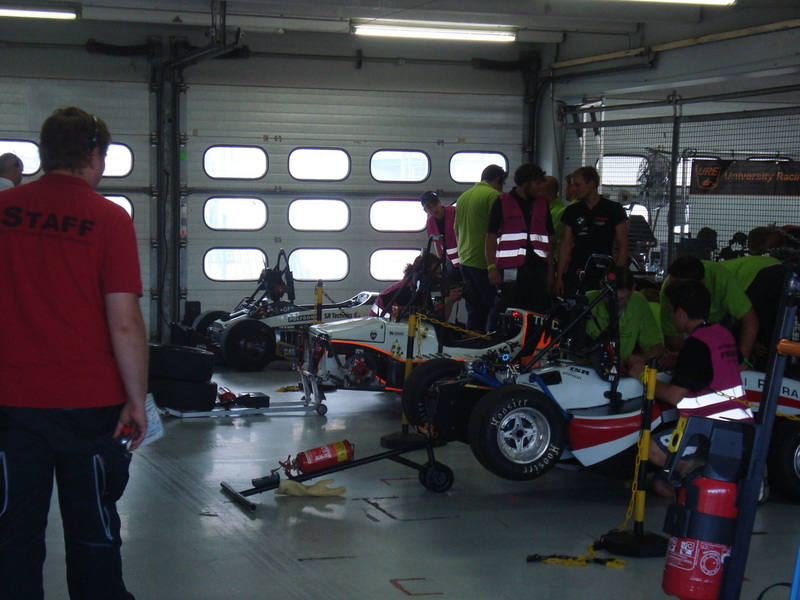 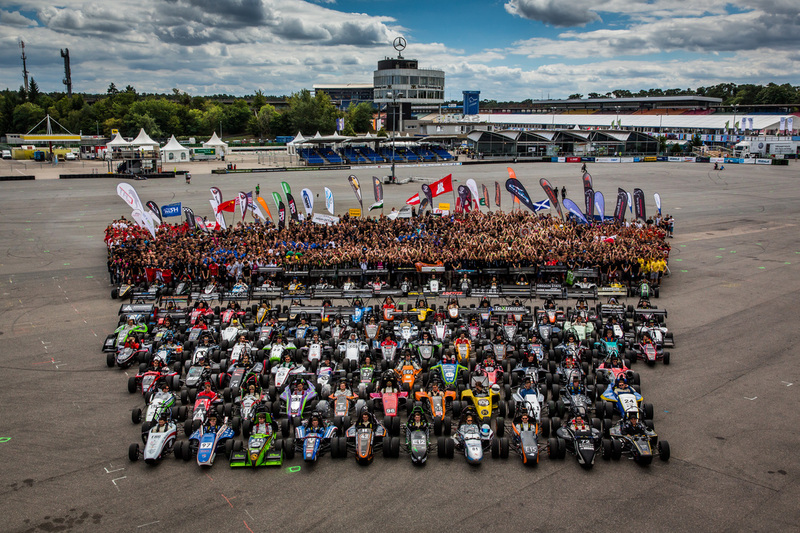 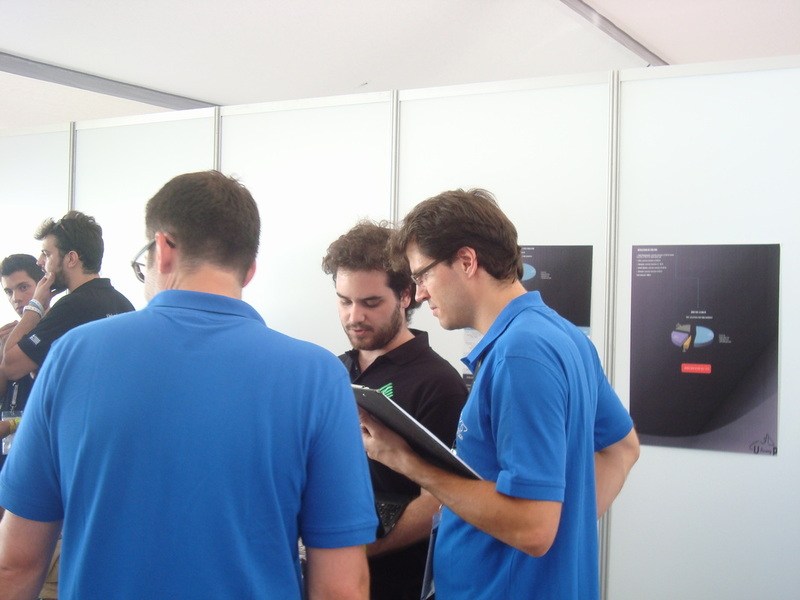 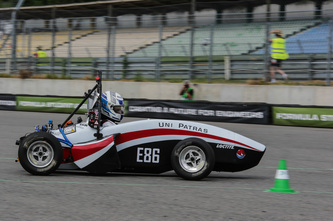 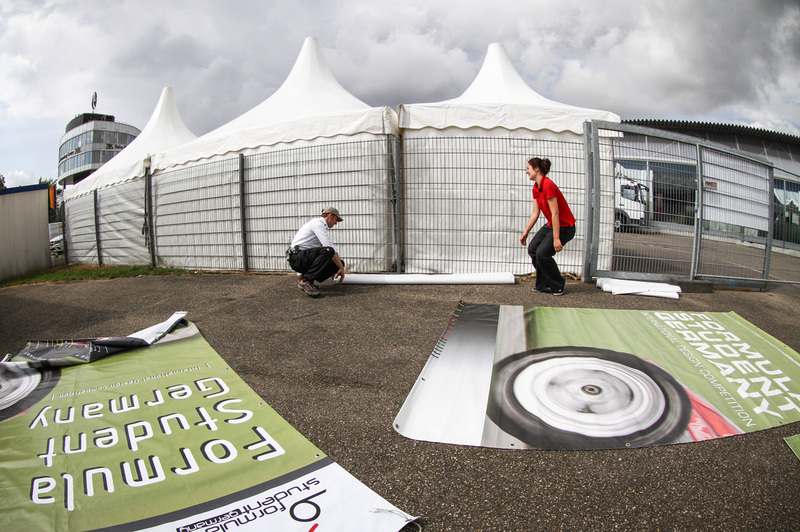 UoP Racing competed with the team’s first electric racecar in FSE 2013 (Tuesday, 30th of July - Sunday, 4th of August) at Hockenheimring in Baden-Württemberg, Germany. 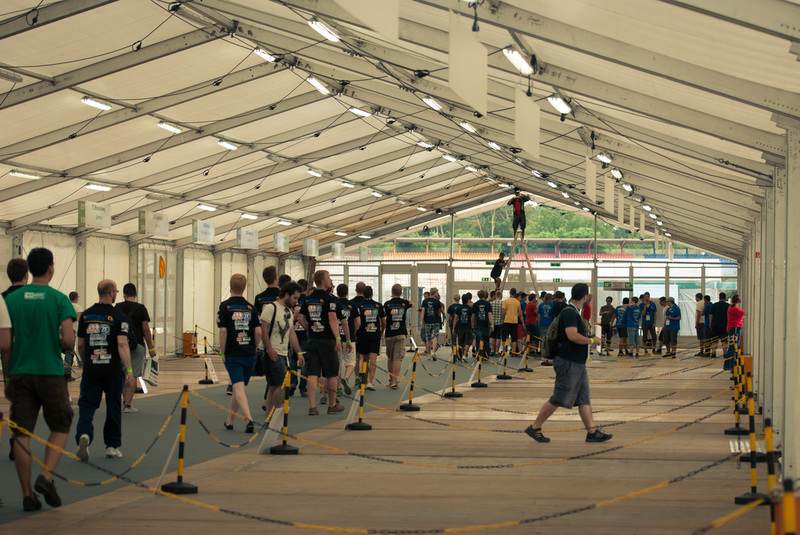 For the 3rd time, our team participated in in the generally acknowledged to be the best and toughest completion in the world. 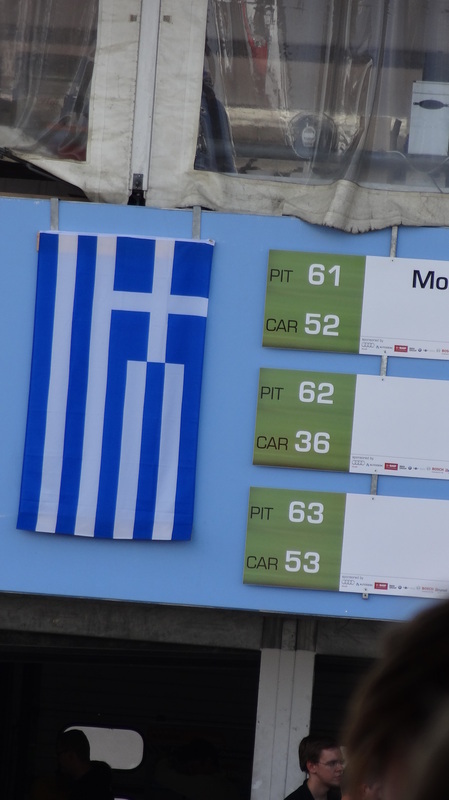 The overall result of 29/40 is not what the team was aiming for, but considering the impact of our battery charger malfunction and the high level of the rest of the competitors, our final classification is just a fraction of the actual car’s potential. 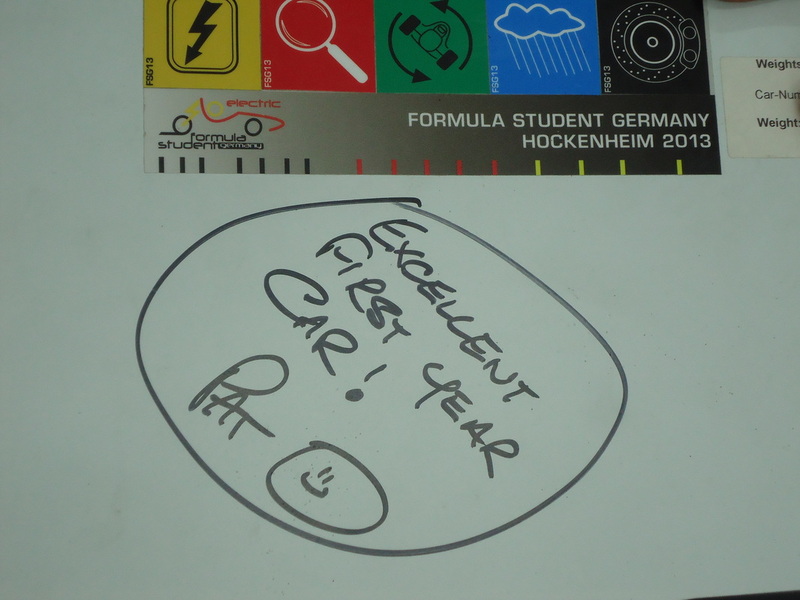 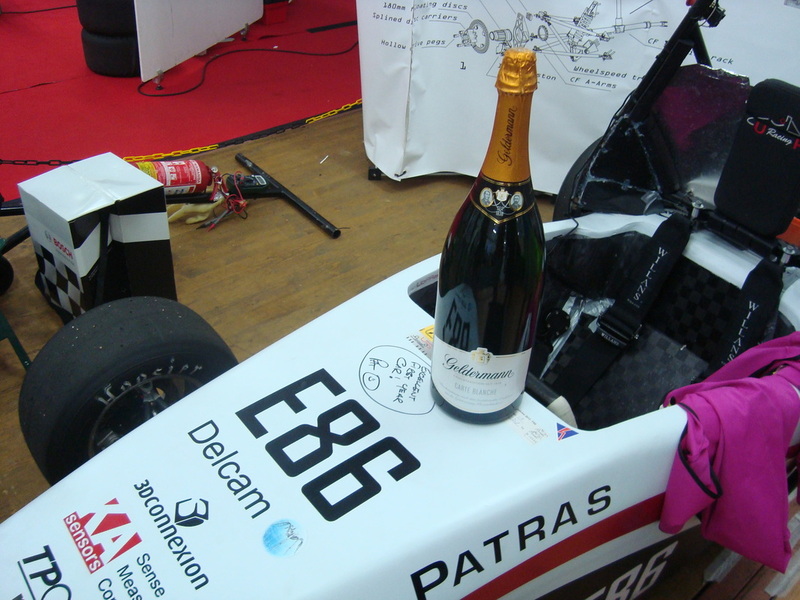 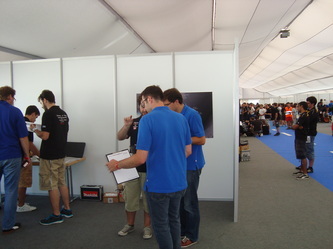 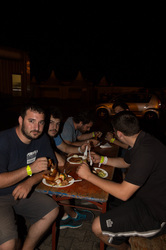 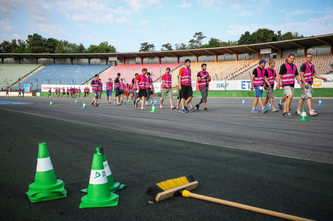 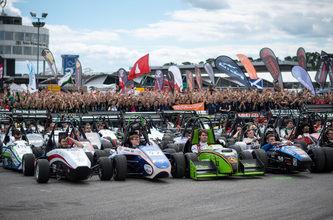 Great achievements on the static events (10th on the cost event and 3rd place award for the Best Use of Adhesives in our car) and participation to all dynamic events plus some excellent comments for our first participation in a competition with an all electric powertrain were the best things to store from the competition.